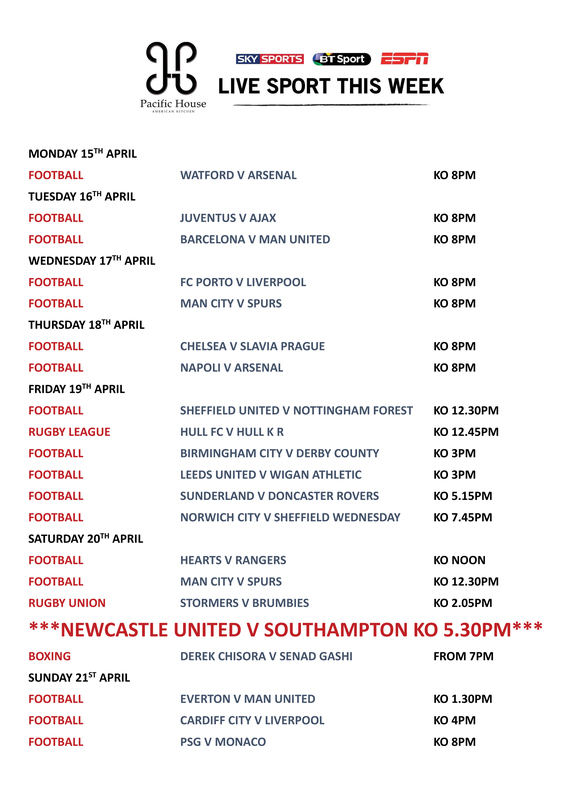 Enjoy live sport at pacific house on one of our 10 large screen tv’s. You can book a table of booth to ensure you get the best seats in the house. We can show multiple sporting events throughout the bar, making sure you never miss a minute of the action. We’ve got sky sports, sky sports f1, espn and bt sport. Want to watch an event that isn’t listed? Get in touch and we’ll let you know if we can screen it for you!